Chennai, Feb 13 (IANS) Responding to DMK president M.K.Stalin's charge that the Tamil Nadu government has not been able to get enough funds from the central government, Chief Minister K. Palaniswami on Wednesday said the Centre does not give the full amount requested by the states. 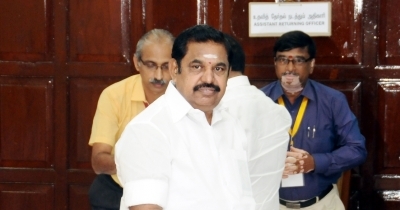 "Whoever may be in power, the central government does not give full funds requested by the state governments," Palaniswami said in the assembly. According to Palaniswami, even when the DMK was a part of the central government, the Centre did not sanction the full amount asked for by Tamil Nadu's DMK government.